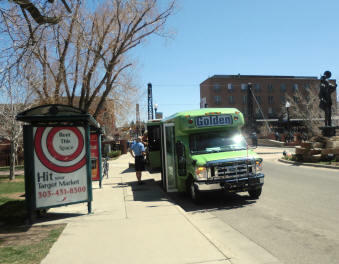 The Golden Shuttle provides service to the Golden Community which includes the Colorado School of Mines campus and Mines Park Housing area. Click here to learn more about RTD Call-n-Ride services in Golden. Mines’ Student Life Department offers students a RTD CollegePass. The CollegePass allows students to enjoy unlimited rides on RTD buses and light rails. More information about the CollegePass can be found here.